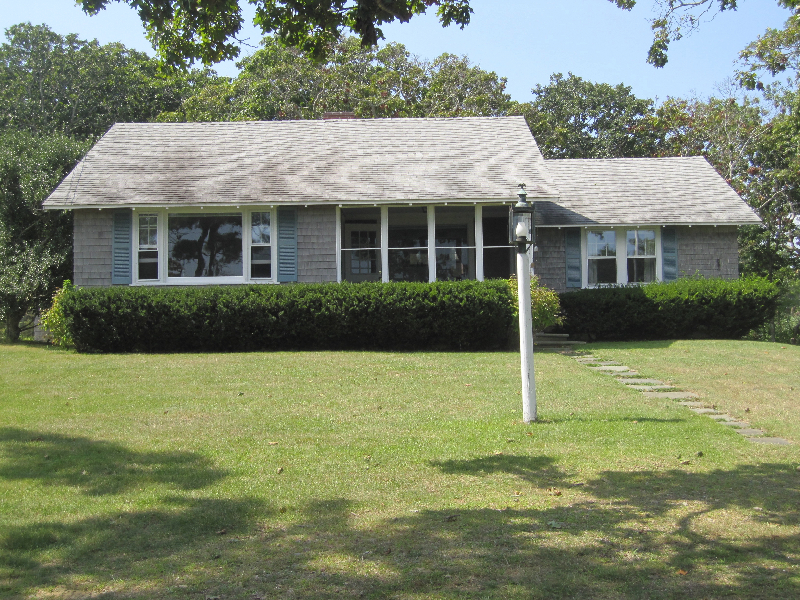 Available 7/20/2014 – 8/9/2014. This includes three weeks and the rental options are one, two or all three weeks. 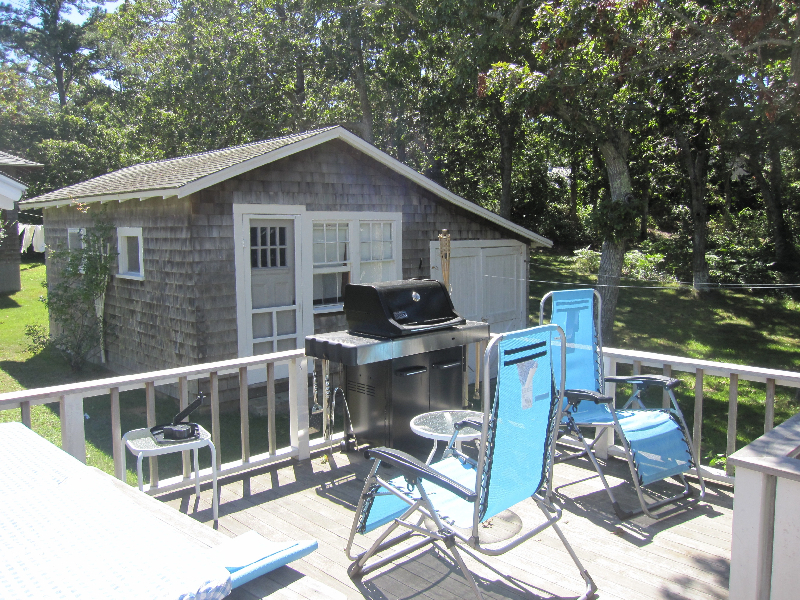 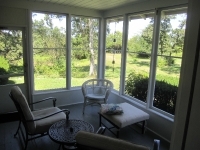 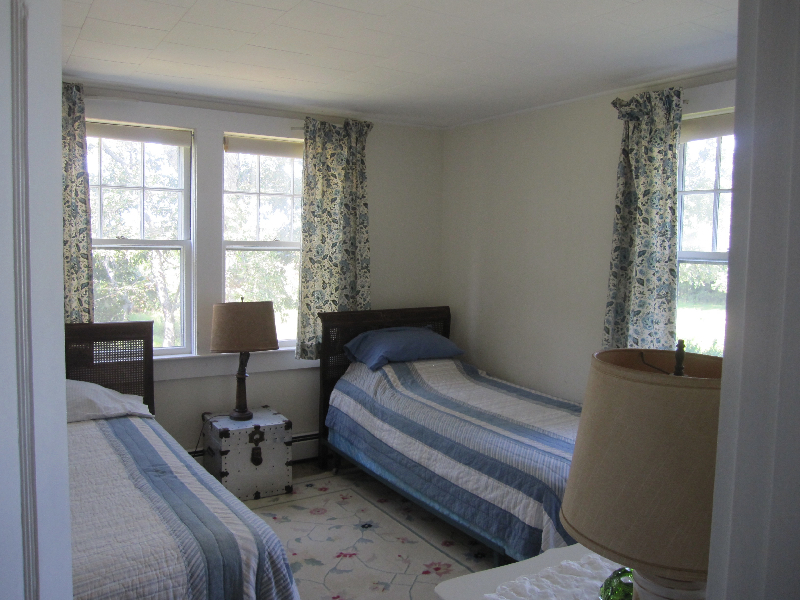 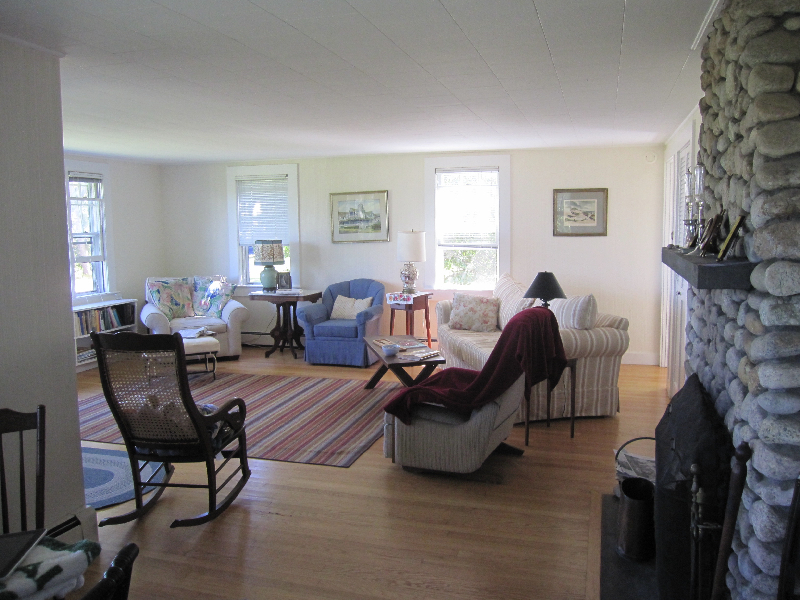 The Knight House has a beautiful view of Vineyard Sound from the screened-in porch, and views of Farm Pond from the back deck. 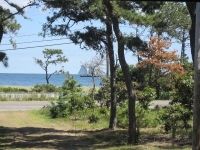 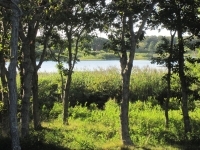 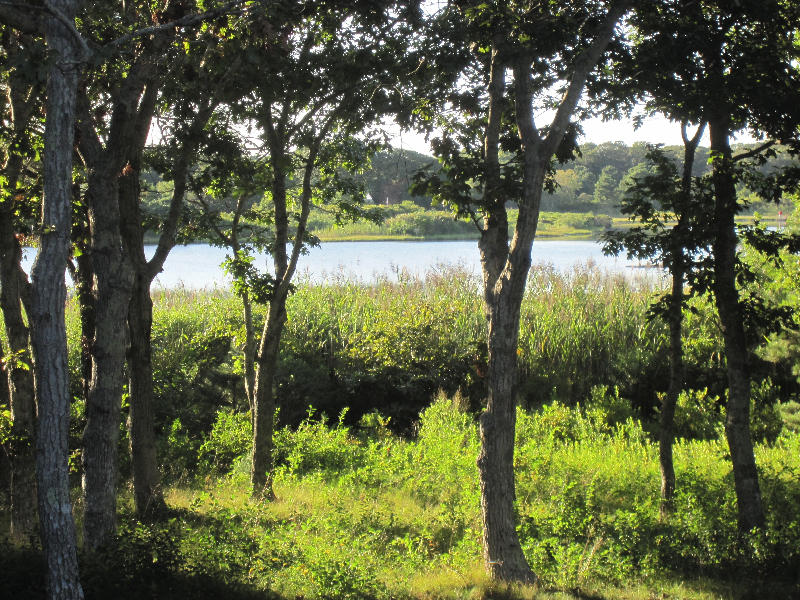 The property is on Seaview Ave. in Harthaven within easy walking distance of downtown Oak Bluffs, yet it’s set well back from the road in a secluded area near the pond. 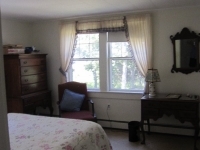 A cottage style house with a master bedroom, 2 guestrooms with twin beds, 2 full baths, and an additional guest cottage with 1/2 bath and outside shower. 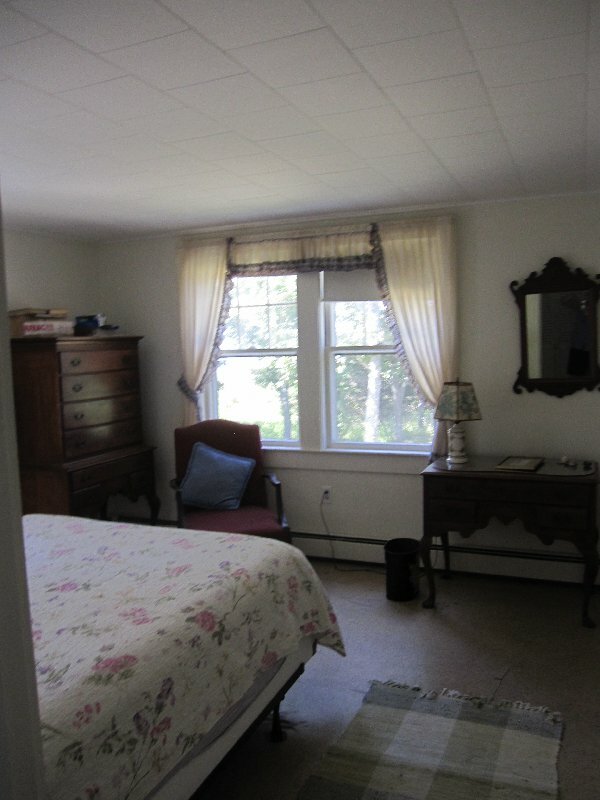 Please use email to contact the Homeowner about this rental.